Non certified “divers” have the opportunity to take an introductory scuba diving lesson guided by our experienced instructors. We will take you for your first dive off the beach in shallow water to a rocky reef where friendly fish and marine life awaits you. An additional dive in open water around the Caldera and Volcano is provided if you want to further explore the underwater environment further. 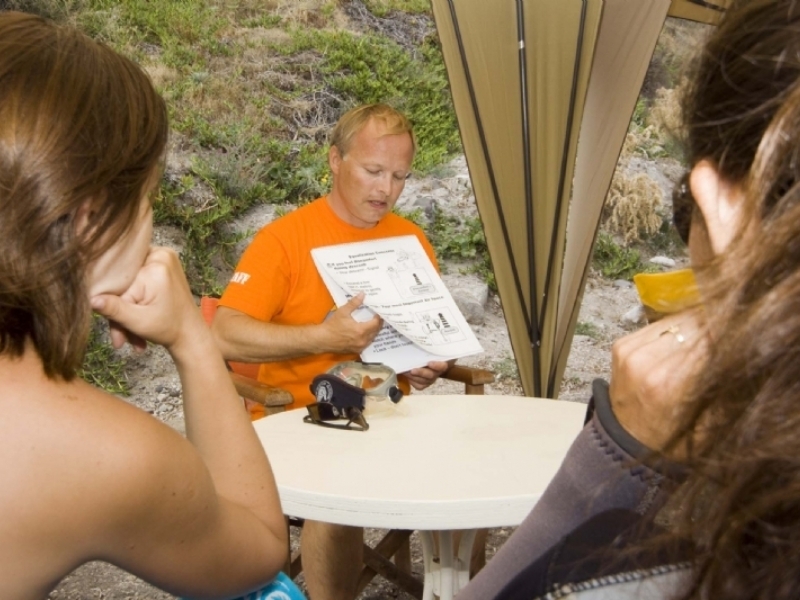 First you will have a lesson with a qualified instructor covering a little physics, physiology and underwater communication. Then you will learn how to operate the scuba gear. Then we will suit up and walk straight into the sea from the beach in front of the dive station. In water shallow enough to stand up in we will have you perform some simple exercises, and then you will breathe under water for the first time (if you haven’t done it before that is). Then we will take you out in water to deep to stand up in. If everything is “OK”, will swim underwater to the reef to a depth of maximum 6 -7 meters. After returning from the reef we get out, remove equipment and get dry. We consider this to be a very safe activity. Scuba diving is easy and not very physically demanding. Divingis in most cases “mind over matter”. 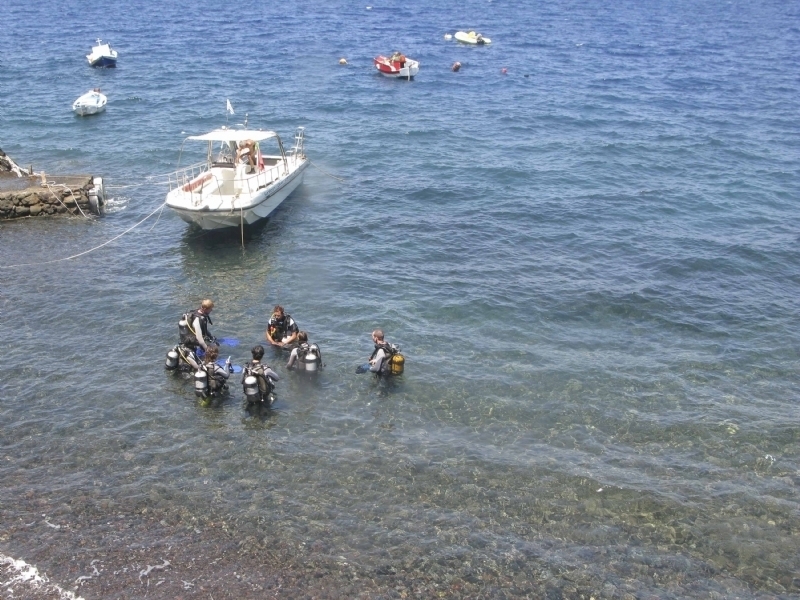 Santorini Dive Center has between the instructors more than 60 years of experience so you are in the best hands.